After a season plagued by rain the sunshine should have brought a welcome reprieve, but with temperatures steadily climbing all week, the heat combined with dry, loose conditions claimed its fair share of victims over the course of the two days of racing at round No. 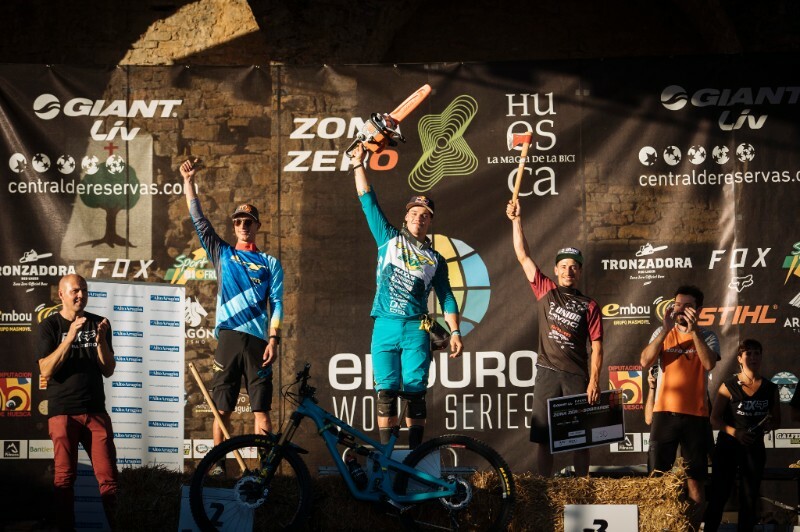 7 of the Enduro World Series. However, there was one man who appeared not to break a sweat all weekend and that was Richie Rude. Pedaling his new SB150 29er, the Yeti/Fox Shox Factory Racing team rider finished the first day of racing with a 12-second lead over second place Martin Maes (GT Factory Racing), and despite Maes winning two of the three stages on Sunday, he couldn’t match Rude’s speed. Finishing eight seconds up, Rude took his second win of the season in style. A consistent performance from Damien Oton (Unior Devinci Factory Racing) saw him take third place. Read the Mtbr review of the new Yeti SB150 here. 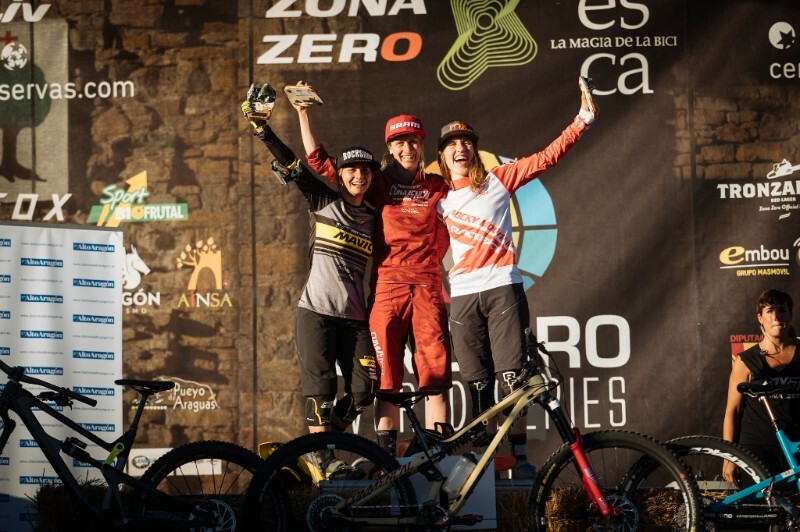 In the women’s competition it was a predictably dominant performance from Cecile Ravanel (Commencal Vallnord Enduro Racing Team), who won five of the seven stages to take the race. Isabeau Courdurier (Intense-Mavic Collective) won the last two stages of the day but had to settle for second place in the overall. 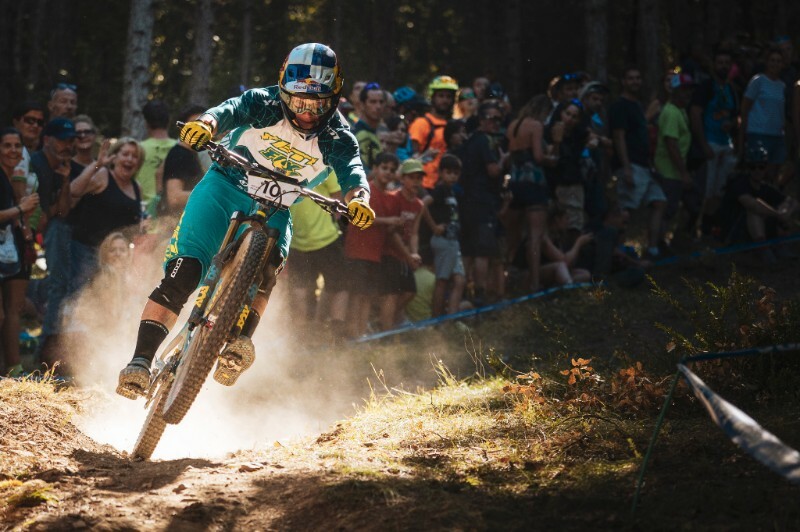 Andreane Lanthier Nadeau (Rocky Mountain Race Face Enduro Team) started the weekend with a win in the urban prologue and finished the race on the third step of the podium. In the U21 Men French privateer Louis Jeandel took his first EWS win, with fellow Frenchman Nathan Secondi just behind in second. Elliott Heap (Chain Reaction Cycles Mavic) kept his championship hopes alive with his third place. Ella Conolly has won every race so far this season in the U21 Women, and Leah Maunsell and Abigale Lawton had to settle for second and third place respectively again this weekend. Reigning Masters Champion Karim Amour (Miranda Racing Team) cemented his series lead with another win ahead of Mike West and former champion Michael Broderick in second and third. French rider Nadine Sapin fought hard with Melissa Newell all weekend, but just pipped her to the win, with Marketa Michalkova rounding out the podium. In the team competition GT Factory Racing and Rocky Mountain Race Face Enduro Team were tied as team of the day and Miranda Racing Team. 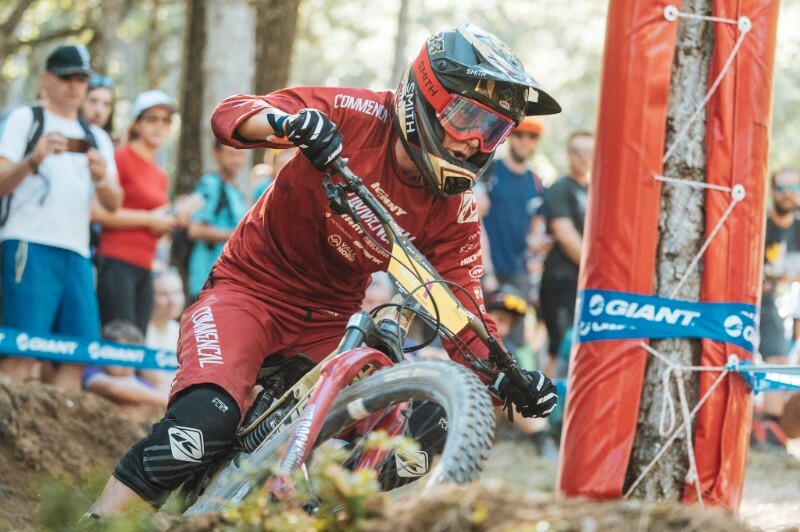 All eyes now turn to the final race of the year, the Bluegrass FinalEnduro powered by SRAM in Finale Ligure, Italy, next weekend, where the Enduro World Series titles will be decided. For full race results, head to www.enduroworldseries.com. Also be sure to check out more race coverage on Mtbr.